You might know we have been running various junior training sessions and for Term 1 in particular is a new Thursdays beginner section from 7-8pm at Empire. Please forward this to anyone you know who is or has a junior with a gap on Thursdays! Congratulations all selected for the teams to represent Wellington and best wishes from the rest of us! 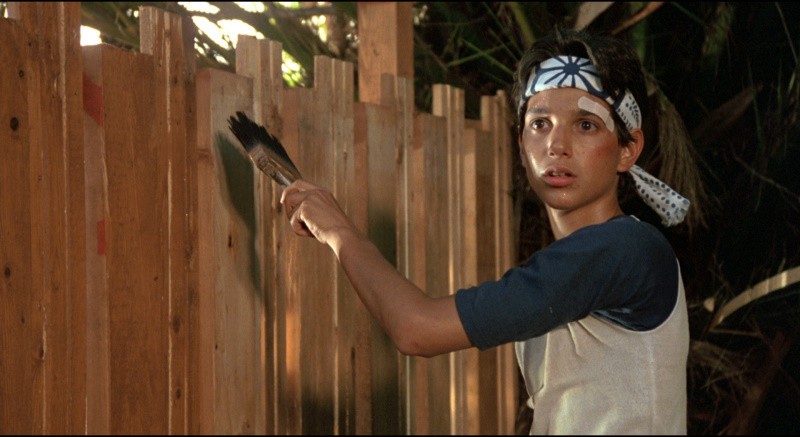 As a heads-up Table Tennis Wellington’s latest junior training for beginners & intermediates targeted for ages 8-13 (primary/intermediate school students) will be underway for six Thursdays from 6.30pm to 8.00pm. Notices went to primary & intermediate schools in the Hutt Valley area for inclusion in their school newsletters. Equipment Sports shoes. 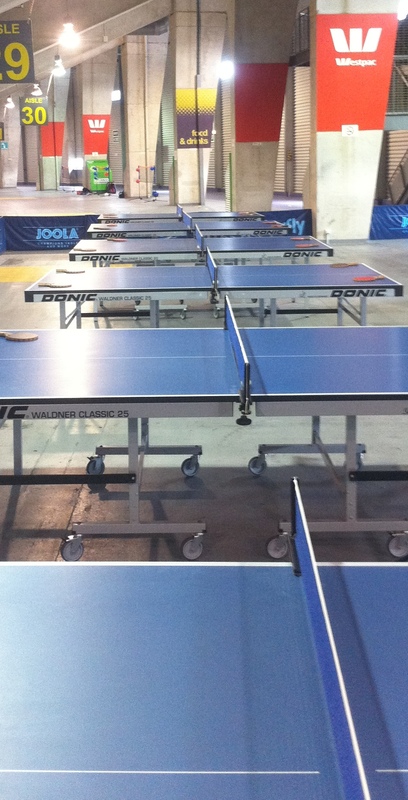 Bring your Table Tennis bat if you have one (or borrow one and return it at the end of the session). Comfortable sports clothes (e.g. shorts and t-shirt). Venue Empire Table Tennis Clubrooms, Marine Parade, Petone. Enrol Online or contact Gabrielle by email to enrol or for more information. ITTF News – ITTF/PTT Level 1 Course hits Wellington! Grant Wilson recently completed running an ITTF/PTT Level 1 coaching course here in Wellington attended by 13 including 11 from Wellington. See the ITTF report. Special thanks to Grant & also John Marrable for making this event happen and to all participants! Table Tennis Wellington is running a junior training programme for beginners aged between 8 and 13 years of age (primary/intermediate school students) on Thursdays from 6.30pm to 8.00pm commencing Thursday 2 March 2017. Coaches ITTF level 1 qualified coaches and plus other top coaches. For more info please contact Gabrielle by email or see the flyer. For Juniors (age 8-16) a Saturday 4:30-6pm session (see the TTW Junior Coaching Flier for details). This starts June 18. For players at the level of Division 1 or Premier interclub standard there is a Thursday evening 7-9pm session (see the TTW Training Invitation Flier for details). This coaching group is now underway and targets preparation for the Wellington Open (July 30/31). All sessions are at Empire in Petone. For further information contact Richard Lee on 567 0314 or 022 0684866. 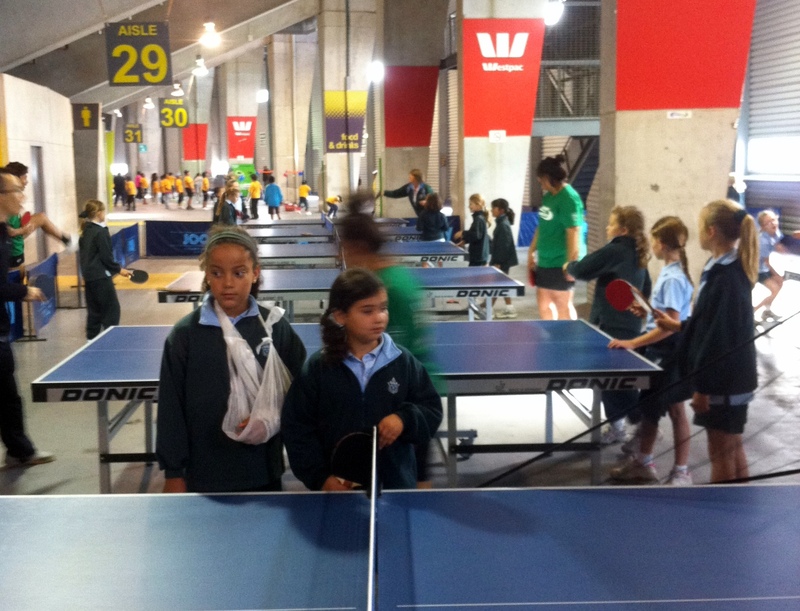 Feedback from the Wellington City Council was that the SportsFest event for schools went off brilliantly and they got a lot of really positive feedback from the kids who played table tennis – so thanks to Bruce Northover, Rob Chung, Kevin Haines & Richard Lee for doing the hard yards on making this happen! 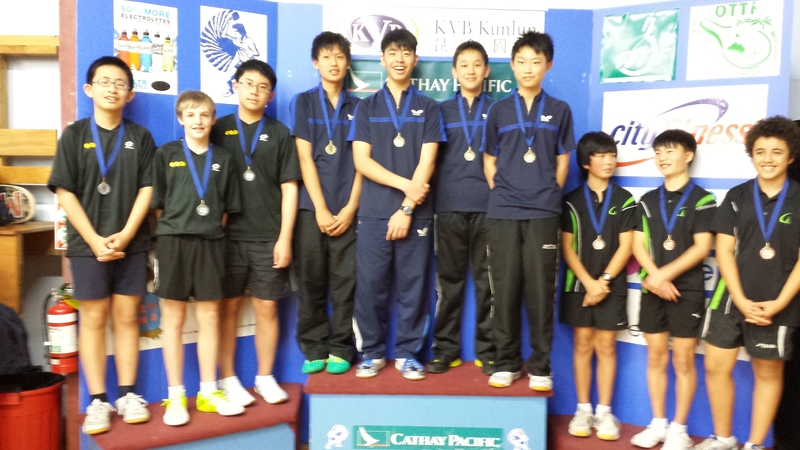 NZ Juniors Teams Completed & Liam Buckrell Player of the Day! […] the Wellington Association has had a lot to savour from the opening 3 days of the tournament. The efforts of coaches Hayden Tapp, Depak Patel and Paul Solt are showing rich dividends as their players have kept upsetting more favoured opponents. Hui Ling Vong finished the under 15 teams event unbeaten, a huge feat, while brother Chun Kiet was also impressive [in the U18s]. In the evening session for under 18 boys, Sean Hanson was most impressive in beating National Junior Nathan Watson in straight sets. There were also some exciting and meritorious performances in the closing stages of the teams event, with one match providing our player of the day, Liam Buckrell – from Wellington of course, pictured here with his valiant opponent Jonathan Li from Counties. These two boys were pitched together at 3-3 in a match which would decide silver in the under 13 boys B Grade. But, from the crowd gathered alongside one could have been forgiven for thinking it was the under 18 boys final. After a very tense fourth set the players shaped up for the deciding set, wondering who would keep their nerve longest. Jonathan seemed to have prevailed when he stretched out to 10-6 after a number of long counter-hitting rallies. But Liam knuckled down to the job, returning every shot with interest and accuracy, and confounded everybody to triumph 12-10. It seemed a shame there had to be a loser in this contest. One can only wonder what might have happened if Hayden Tapp had gone out to buy a lotto ticket instead of bench-coaching at this tournament – given the results versus the odds so far. Berdy Fang ensured that Wellington did not have things all their way today, with two good wins over Frank Fu and Sean Hanson in under 18 boys. Some of these juniors certainly know how to entertain and thrill! – from this TTNZ article, thanks! Congratulations to three local Wellington players who were selected by Table Tennis New Zealand for the 2013 national squads. Be sure to pass on your congratulations next time you see them! This will be a great opportunity for these players to train at the top next year and reach new levels of play. No doubt some of this will rub off on the rest of us! While on the subject of the top players in New Zealand check out Matt Heatherington’s blog post on Feedback From NZ’s Top Ranked. A few weeks ago, on Tuesday the 6th of March, 600 year five and six primary school students from the Wellington region attended the 9th Annual Pelorus Trust Stadium Sports Festival at Westpac Stadium. Thanks to coach Stephen Hirst and helpers (Rob Chung is in a picture below) table tennis was be one of the 18 sports involved. Organised by Sport Wellington, the annual Pelorus Trust Stadium Sports Festival aims to expose primary school children to a variety of different sports. This year 54 schools applied to attend the event, of which only 20 spots were available. Given the delicate weather requirements of table tennis, outdoors was ruled out but thanks to Jamie Milne at Sport Wellington a place for table tennis was found within the concourse area (along with a couple of other similarly weather-sensitive sports). While no doubt Stephen & co were run ragged by the end of the day, he reported the day as a great success and well worth the effort. They were able to distribute hundreds of leaflets listing the Wellington junior clubs to students and teachers and interest was high. One of the main hurdles was how to get tables from the Newtown stadium out to the Westpac stadium and back. Especially given that the Donic tables we have there need to be transported upright and in one piece. We owe many thanks to Coolmoves who were able to very professionally move eight tables to and from the Westpac stadium! Without Coolmoves we could not have been there. The age range here parallels the primary/intermediate & junior club coaching program that Table Tennis Wellington has also been running with thanks to Pub Charity support. Stephen Hirst is also the coach for this program and has been able to reach many schools and junior clubs in the Wellington area. Programs like this and the stadium event help build the grass-roots base and feed into the junior clubs. Bats down, ready for the next group. Click below for the Teams and Individual Entry Forms for the New Zealand Open Championships to be held in Christchurch from the 12th to the 16th of October, 2011. Please note the closing date of 31st August 2011. The 2011 Silver Trainng squad has been underway for a few weeks now. Credit must be given to last years coach Andrew Hubbard for the high standard of play and of attitude of the players in the sqaud. Training is on Thursdays 5 to 7pm and Sundays 2 to 4pm. Players traveling to the tournament are: Ian Wang, Gareth Telfer, Henry Stoupe, Sean Hanson, Liam Cambell and Angela Chapman. TTNZ will be running an ITTF Level 1 Coaching course later in the year. Anyone interested please email secretary [AT] ttwellington.org.nz ! Venue yet to be determined, it is possible that funding may partially cover any travel costs. It would start on a Thursday night and continue until Sunday (it is a 24 hour in total course). A Level 2 course is planned for 2011. Ref: ITTF Coach Accreditation for more details. 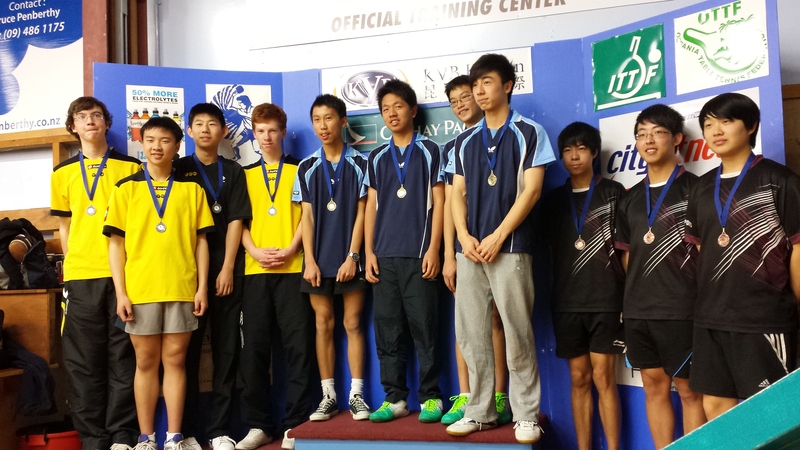 U18 Boys‘ – congratulations Thom Nguyen winner!!! U18 Boys’, U15 Boys’, U15 Girls’, U13 Boys’.